The selection process to join the PSNI is highly competitive. In the last few years, over 7500 people have applied to join the service every year. Only around 500 of these applicants will be successful; with 100 being accepted on an initial basis and the other spots going to officers who have been placed on the merit list. You could view this as a worrying statistic, or alternatively you could make it your mission to be one of the successful applicants. 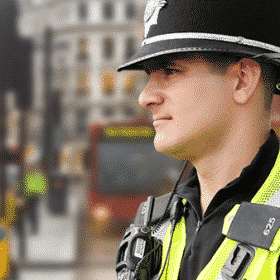 If you are someone who wants to make a difference to the community, by safeguarding and policing the general public, then this could be the perfect position for you. 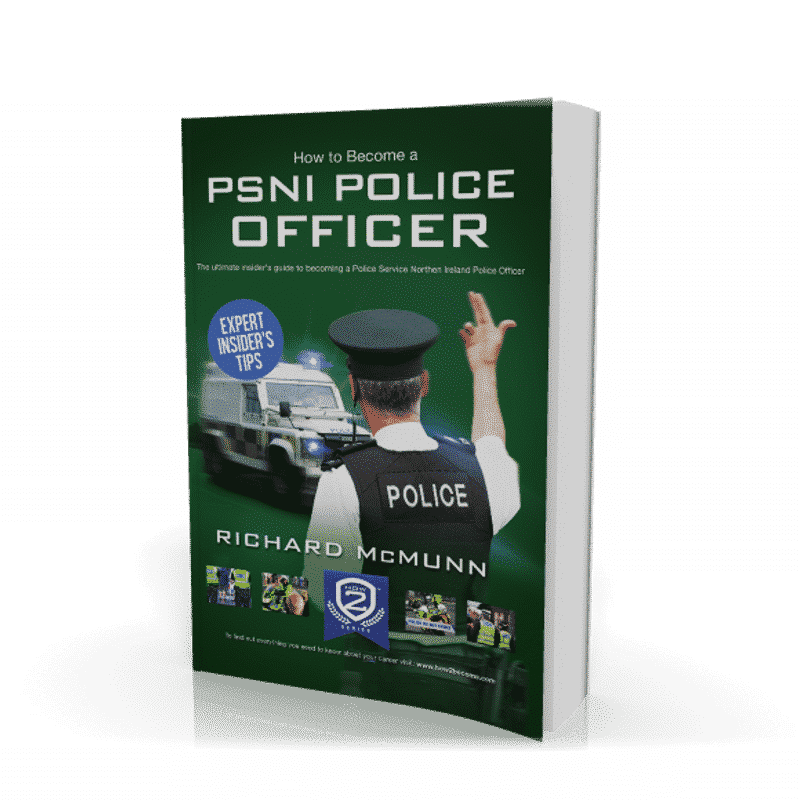 By the end of this guide, you will have a comprehensive understanding of how to become a PSNI Police Officer, and hopefully will have come to a decision on whether this is the right career for you. Before you even begin the application process, the first thing that you need to be aware of is the core competencies. Core competencies refer to the key behaviours expected of a PSNI Police Officer when employed in the role. Throughout the selection process, you will have to demonstrate that you have a thorough understanding of why they are important and how they can be used. When answering the application form, assessment centre and interview questions, you will have to tailor every single one of your answers so that they match with at least 1 of the core competencies. This requires a candidate to demonstrate a genuine belief in good public service, focusing on what matters to the public and serving the best interests of the community. You will need to understand the expectations and needs of different communities, and take steps to address them. You’ll need to build good relationships with people in the community by talking to them and exploring their viewpoints. This requires a candidate to demonstrate an openness and positive attitude towards change, and to be able to adapt rapidly to different ways of working. You will need a flexible and open approach towards alternative methods of solving problems, and will be required to show an innovative and creative attitude towards new solutions. This requires a candidate to show a wider understanding of the organisation’s objectives and priorities, and identify how their own work fits into these. You’ll need to plan and organise tasks, and take a structured approach to solving problems. You’ll also be expected to manage multiple tasks, and show advanced thought process when prioritising and managing these activities. 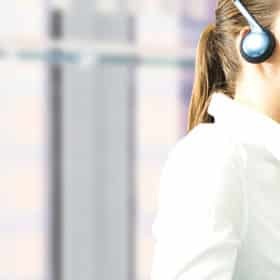 Your focus should be on the end result of the task, with the aim of working efficiently and accurately to achieve the best possible service for the customer. 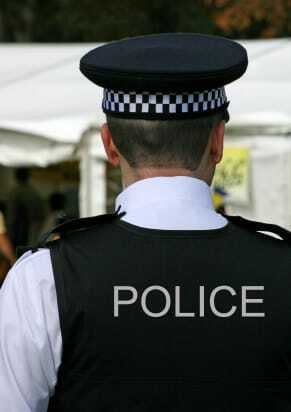 As a PSNI police officer, it is vital that you are professional and act with integrity at all times. You must take ownership for resolving problems, display courage and resilience when faced with challenging situations, and act on your own initiative to address potential issues. 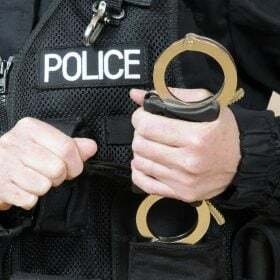 You’ll need to act honestly and ethically, and challenge any conduct or behaviour that you identify as being out of line with the ethical values of the PSNI. Finally, you’ll need to display a calm and professional attitude when you are under pressure, and must be prepared to step forward and defuse conflict in difficult scenarios. Decision making is extremely important for police officers. It is vital that you are able to make appropriate and unbiased judgements, to gain an accurate understanding of situations. You’ll need to weigh up a range of possible options, before making clear and justifiable decisions. You’ll also be required to review your original decisions, in the light of new information and changing circumstances. All of your decisions and actions should be in the best interests of the public. It is really important that you have the ability to work co-operatively with others. You’ll need to be approachable, positive, a great listener and a great communicator. You should demonstrate that you are someone who can persuade people, keep them informed and display a compassionate and empathic attitude to their situation. You will need to treat all people with respect, fairness and dignity, regardless of their background or circumstances. The first stage in the application process is the initial PSNI application form. This can be downloaded from the official PSNI website, which will let you know when the force is recruiting or have vacancies. During your application form, you will be asked a series of vetting questions, and then a number of competency based questions, focused on your motivation for wanting to become a PSNI police officer. In order to complete the vetting questions, you’ll need to be aware of what the PSNI accept and do not accept. You can find this in our comprehensive PSNI Eligibility Criteria blog. Generally you will be given 3-5 competency questions. 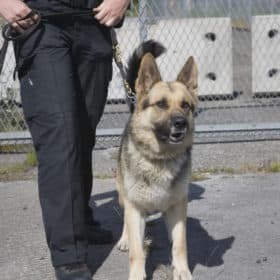 These could either test your direct knowledge of the role, by asking you to outline how you have previously used one of the core competencies, or will question your personal motivation for wanting to join the force. When answering these questions, you should have a copy of the core competencies beside you. This will allow you to tailor each and every single one of your responses to these competencies. Below we have provided you with a sample question, as well as a response to this. ‘Whilst working for a voluntary agency, I was assigned to assist an elderly, ethnic homeless woman in selecting some new clothes. Whilst I was helping her, a gang of teenagers entered the shop. They started to make racist comments towards the woman. I was disgusted by this, and extremely concerned for the individual to whom they were addressing their remarks. I was determined to put a stop to it, and protect the woman. The first thing that I did was to stand between the woman and the racist individuals, to shield her from any further comments or abuse. I told the individuals that their comments were not acceptable, and that they were in conflict with the law. I then called over the shop manager for assistance. He immediately rang the police, and asked the teenagers to leave the store. 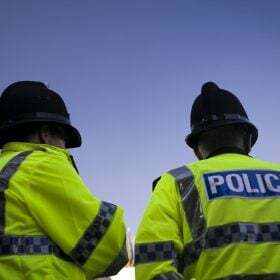 He informed me that the shop CCTV cameras would have recorded the offending individuals, and therefore the police would be able to handle the issue from there. After the individuals had left, the manager took me and the elderly lady in the back of the shop, sat us down and made the woman a coffee. I comforted and supported her, and informed her that I would be happy to act as a witness for what I had just seen. You can find many more sample application form questions and responses, as well as detailed advice on how to fill in the rest of the form, in our comprehensive guide on How To Become A PSNI Police Officer. The second stage in the process is the Initial Selection Test (IST). This is a series of exercises designed to filter out the weakest candidates to have made it through the application process. The PSNI receives thousands of applicants every year, and it would be impossible for them to put every candidate through to the assessment stage. Therefore, the IST is used as a pre-screening process. The Initial Selection Test will consist of three sub tests, all of which will be held under timed conditions. Your understanding of verbal and numerical data. It is important to prepare as comprehensively as you possibly can for the IST. Start preparing as early as possible, ideally this should be immediately after you have finished filling in the initial application form. The more preparation you do, the more confident you will feel, and this will reflect in your results. In this test you will be required to read through a passage, and identify a number of mistakes. These mistakes will be in the form of incorrect spelling, and words that have been used in the wrong context. You will be expected to read through the passage and underline the incorrect words. Take a look at the question below, and see if you can spot the mistakes. There are eight mistakes in total. In this test you will be given 4 separate passages, with a set number of statements after each. You will have to identify and then indicate on the answer sheet, whether you believe each statement to be TRUE, FALSE or UNKNOWN. You should base your answers on the assumption that everything stated in the passage is verbatim, and ignore any real world beliefs. Below we have provided you with a sample verbal reasoning question, similar to what you would see in the test. Answers: False, Unknown, False, Unknown, False. In this test you will be a given a data sheet, and a series of questions based around the information on it. You will need to demonstrate your numerical ability and skills in data interpretation in order to find the right answer. The questions will all be multiple choice, and could vary from larger more complex data sheets, to smaller more straightforward sheets. Below we have provided you with a sample data sheet, and 3 questions based on the information contained within it. 1. City Police have put out a tender for heating maintenance and installation. Below are quotes from 3 suppliers. 1. Amongst all three suppliers, based on an annual cost, what is the average cost to install hot air systems? 2. Based on 2 years, what supplier provides the most expensive quote for installation and boiler replacements? 3. What percentage of the total quote provided by Supplier 2 accounts for hot air systems? A customer of a shopping centre, who wants to discuss an incident that happened at the centre. A shop owner in the centre, who wants to discuss an incident that happened in their shop. An employee of the centre, who has been asked to attend a meeting. Make sure that you deal with the role play actor in a sensitive and supportive manner. Demonstrate respect for other people’s views and feelings. Show that you can see issues from other people’s point of view. Ask relevant questions to clarify the situation. Listen to people’s needs and interests. Try to sort out customer issues as efficiently as possible. Make reference to supporting documentation, policies and procedures. Ensure that the customer is happy with the solution that you have provided. Keep the customer updated on any progress that you have made. It is crucial that you learn the core competencies, and that you are able to demonstrate them during each exercise. This part of the selection process will be split into two five minute parts. The first part will consist of the preparation phase, and the second part will be the actual role play exercise. For detailed example role play exercises, and more advice on how to pass, please purchase our guide on How To Become a PSNI Police Officer. During the assessment centre, you will be asked to undertake two written exercises. Both of the written exercises will last for 20 minutes each. You will be shown you into the exercise room along with the other candidates in your group, and provided with a briefing before you start each exercise. You will be provided with paper and pens, along with a ‘proposal document template’ on which to write your response. You’ll also be given a copy of the welcome pack. During the exercise, you will be informed when there are five minutes left, and again when you have 1 minute left. The written exercise will be assessed after you have finished the entire assessment centre. In this exercise, you will have to write a proposal document about issues at a fictional centre. In this exercise you will have to write a proposal document about an incident that happened at the aforementioned fictional centre. When you create a written report, the assessor is looking for a well-structured, logical and relevant piece of writing. You should demonstrate a good use and understanding of grammar, and aim to make as few spelling and punctuation mistakes as possible. The written report is an area of the police officer assessment process that many people do not think they need to practice. Thus, they use their preparation time to look predominantly at the role play and interview sections. As important as these sections are, the written report can actually gain you the highest percentage of marks out of all 3 of the tests. This mark could mean the difference between a pass and a fail. On the assessment day, you will be allowed 20 minutes to read all of the information provided and create your report. This is not a lot of time, especially if you are not prepared. Therefore, it is important that you work fast and accurately. The first part of the interview will be a ‘get to know you’ interview, with the intention of assessing your motivations and reasons for applying to the force. The interviewers are highly likely to ask you questions based around the personal statement from your original application form, so make sure you know this off by heart. The second part of the interview will be based around the core competencies. For example, you might have to explain how you have resolved a particular situation using the STAR method. You’ll need to show a clear understanding of all the requirements of the role, and demonstrate that you can use them. Under normal circumstances the interview board will consist of two or three people. These can be from either the uniformed side of the service or support staff. It is important to remember that whilst you will be nervous you should try not to let this get in the way of your success. PSNI Police officers, in general, are confident people who have the ability to rise to a challenge and perform in difficult and pressurised situations. Treat the interview no differently to this. You ARE capable of becoming a PSNI police officer and the nerves that you have on the day are only natural, in fact they will help you to perform better if you have prepared sufficiently. The crucial element to your success, as with the rest of the selection process, is your preparation. 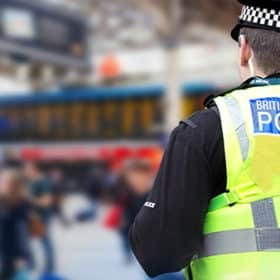 The police interview board will have a number of set questions to choose from and, whilst these are constantly changing, they will usually form part of the police officer core competencies. 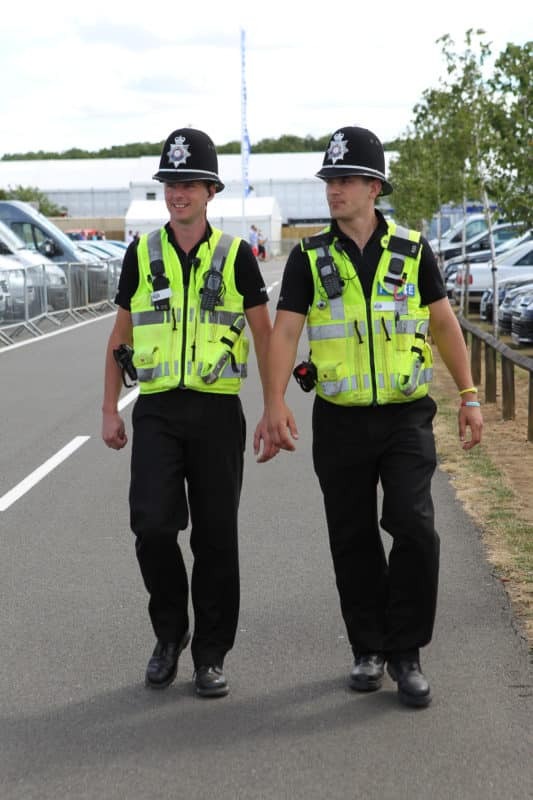 Before attending your interview, ensure that you read, digest and understand the police core competencies. Without these it will be very difficult to pass the interview. “After reading a newspaper appeal from a local children’s charity, I decided to try to raise money for this worthwhile cause by organising a charity car wash day at the local school during the summer holidays. I decided that the event would take place in a month’s time, which would give me enough time to organise things. The head teacher at the school agreed to support me during the organisation of the event and provide me with the necessary resources required to make it a success. I set about organising the event, but soon realised that I had made a mistake in trying to arrange everything on my own. I arranged for two of my work colleagues to assist me. Once they had agreed to help me, I started out by providing them with a brief of what I wanted them to do. I informed them that, in order for the event to be a success, we needed to act with integrity and professionalism at all times. I then asked one of them to organise the booking of the school and to arrange local sponsorship in the form of buckets, sponges and car wash soap to use on the day, so that we did not have to use our own personal money to buy them. I asked the second person to arrange advertising in the local newspaper and radio stations so that we could let the local community know about our charity car wash event, which would in turn hopefully bring in more money for the charity. Following a successful advertising campaign, I was inundated with calls from local newspapers about our event, and it was becoming hard work to keep talking to them and explaining what the event was all about. However, I knew that this information was important if we were to raise our target of £500. Everything was going well right up to the morning of the event, when I realised we had not picked up the key to open the school gates. It was during the summer holidays, so the caretaker was not there to open the gates for us. Not wanting to let everyone down, I jumped in my car, made my way down to the caretaker’s house and managed to wake him up and get the key just in time before the car wash event was due to start. In the end the day was a great success and we managed to raise £600 for the local charity. Throughout the event I put in lots of extra effort in order to make it a great success. You’ll then have to take a period of police probationary training. There are 9 different locations where you might be stationed for your training. These are Garnerville, Steeple, Mahon Road, Maydown, Gough, Enniskillen, Ballykinler, Ladas Drive and Magilligan. comprehensive guide, we have covered all of these stages, and provided you with a wealth of valuable information on the Physical Competency Assessment, including how to train and prepare, and the PSNI training code on conduct. In order to increase your chances of success, purchase the ultimate guide on How To Become a PSNI Police Officer. Learn how to become a PSNI Police Officer with our comprehensive career guide. Passing the selection stages for the Police Service Northen Ireland is a tough process wich includes, application stages, assessments, interviews and fitness tests. Our comprehensive 200-page career guide walks through every stage of the selection process. Assessment Centre Interview - Interview Questions and Answers.